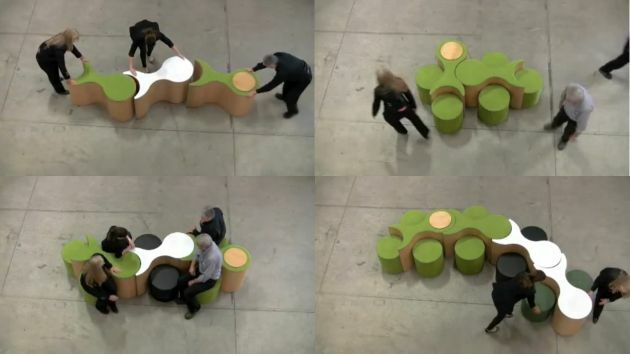 Toronto based designer Davide Tonizzo has sent us a video of the Molecule seating system he has designed for the Canadian furniture manufacturer, Arconas. Click here or on the image below to watch the video on YouTube. 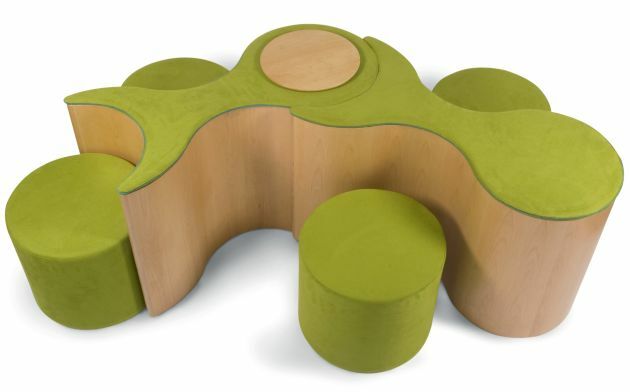 Molecule consists of two components: a cylindrical upholstered seat and a curved backrest finished in wood veneer with an upholstered top or Corian pad. The two components of Molecule combine into an endless array of configurations and are designed to simply reconfigure on the fly to respond to changing needs. An optional plywood worksurface is also available to accommodate work applications. As the name implies, Molecule was inspired by those building blocks of nature. The design breaks furniture down into simple elements that can support sitting, working and relaxing. As well, the shape allows the units to be configured into an infinite arrays. 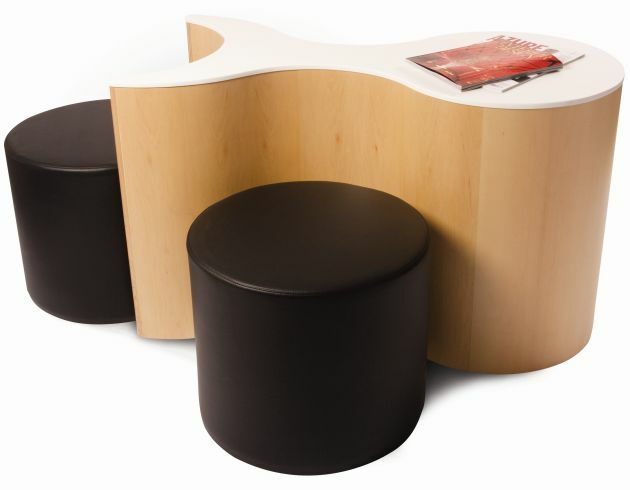 Molecule is ideal for public spaces such as hotel lobbies, libraries, school work/study areas, airport lounges, bars/lounges and retail stores. As well, it can be used for office training, breakout sessions and casual work areas.